The Four Pillars - Homelegance Furniture Reviews and Quality Guide! Homelegance have been producing furniture for over 30 years, crafting a range of high quality units for the whole home. Homelegance supplies retailers, rather than sell directly to the customer, and have managed to build an extremely successful brand. There is Homelegance furniture in homes throughout the U.S and they’ve become a well known company. 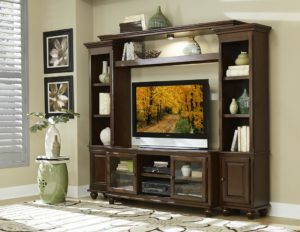 In this Homelegance furniture reviews page we will share with you Homelegance history, some of their values, the type of products they create, reviews on their sofas and table sets, and their furniture warranty policy. Being in this interior design sector, I have had the pleasure of owning and using quite a few different Homelegance furniture pieces. 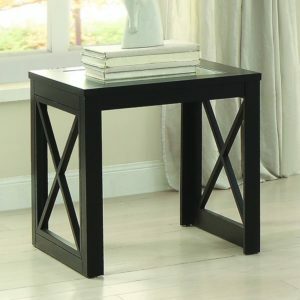 Below we have put together a table full of quick reviews and comparisons of our favorite Homelegance pieces! 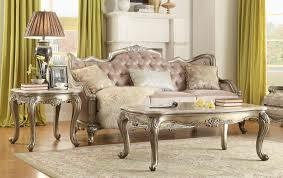 If you’ve searched for or bought furniture in the past few decades you’ve probably come across Homelegance. Homelegance was founded in 1984 in California and is a true American company. 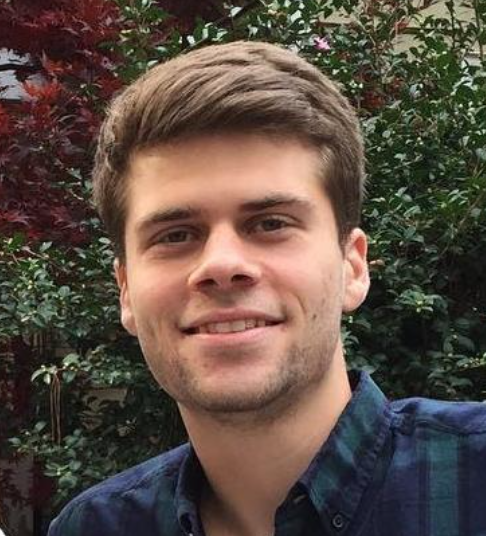 From there they grew rapidly and now have locations across the USA, including San Francisco, Atlanta, Texas and even Vancouver. This expansion has led to a broadening of their product range and diversification within the company. Homelegance operate through certified dealers, all of which have been approved by the company beforehand to ensure a quality service. You can use their find a dealer function on the website to find your local supplier. Homelegance have four pillars they’ve built their business on: Style, Value, Quality and Variety. They believe in producing products that fit all of these criteria and bring benefit to the user. Homelegance began, and have continued to grow by meeting the needs of the customer. They’ve developed their designs to make more stylish furniture, that still have a construction quality that will stand the test of time. Homelegance produce furniture for the whole home. They have collections for the bedroom, dining room, home office as well as entertainment products and accessories. Homelegance have a range of seats and an impressive “youth” collection, which includes childrens beds and accessories. The focus on Homelegance has always been on their bedroom and dining room furniture. Bedroom sets, tables, sofas and chairs are their most popular products. Homelegance puts their employees expertise into every unit, with every piece being fitted by hand by a professional. Homelegance has moved with the times, using the latest technology in the manufacturing process. This doesn’t just make the furniture sturdier but keeps the process simpler, allowing them to pass the savings onto you. Homelegance are meticulous with where they source their products. From hardwoods to mechanisms they’re endeavouring to find the best materials to build the highest quality furniture. The centrepiece of any living room is the sofa, so It’s important to find the correct one. 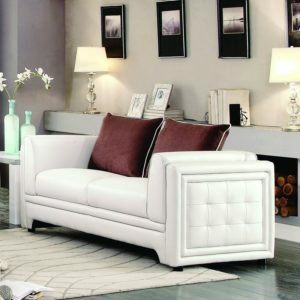 Homelegance prides itself on the variety they offer and It’s certainly true for their range of sofas. Homelegance boast 263 different collections of sofas and chairs for the living room, choose between traditional, modern or contemporary and find one which fits your home. If you are looking for other great sofa options I would also suggest Smith Brothers furniture because they share similar values to Homelegance and they have some great pieces! 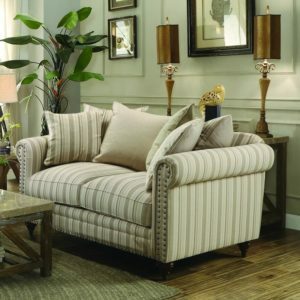 When selecting your Homelegance sofa or chair there are a number of options. Firstly you’ll need to select the fabric and colour of your sofa. Again Homelegance are providing the customer with a range of choices, and for a different look you can select from their leather collection. Homelegance leather sofas come with different finishes and colouring so every unit is unique. 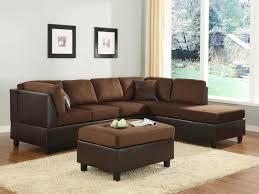 Leather is more durable and gives a more distinct look to most living rooms. Once you’ve selected the style and colour of your sofa you’ll need to make sure the fit is correct. 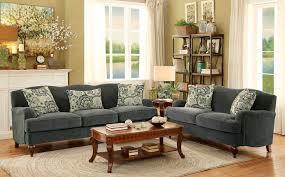 A popular feature of Homelegance sofas is the modular sofas. These allow for deconstruction and rebuilding in different shapes, perfect if you’re trying to make the most of your room. Whatever space you’re trying to fill there are different sized units available, be sure to talk to your retailer about finding the right fit. Homelegance have incorporated modern technology and comforts into their furniture to give added benefit to the customer. Modern mechanisms allow for reclining chairs and sofas and advanced comfort. Have a look through all the different options when selecting your sofa. Just like the sofa is the centre of the living room the table is what makes the dining room. Homelegance tables are designed to bring function and form together, making them useful but also stylish. With over 225 different collections there’s a lot of choice. There are a selection of materials with the most popular being hardwood, metal or glass. There are small tables and large tables along with a range of colours and finishes. It’s important to take the time to explore the options so that it matches your current home decoration. Homelegance tables are built to last, with top materials use for each. Mechanisms are used to allow you to expand and contract certain tables making your dining room more versatile. For most of the solid wood tables you can choose between chairs or benches which match the style and colouring, if you can't find the color or style to match, Universal might have the dining room table for you! Their massive choice of dining room table sets them apart from the competition and you’re likely to find the type of table you’re looking for. Homelegance furniture is sold by multiple retailers across the U.S, with dedicated websites and stores to house their products. Being so popular there are lots of reviews readily available so you can see how the company is doing and what people think of the products. A lot of customers are pleased with the products and believe they add value to their home. 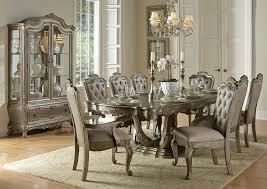 Common criticisms of Homelegance furniture buyers are mostly to do with customer service and delivery times. This is always frustrating for the buyer but because Homelegance aren’t dealing directly with customers It’s mostly the fault of the retailer. Be sure to get concrete times from your local dealer before purchasing so you know exactly where you stand. That being said if you are interested in speedy delivery, then England Furniture offers delivery in 3 weeks or less! Homelegance offer a fairly standard warranty of one year. This covers all workmanship and defects but does not cover any wear and tear. Despite not being as comprehensive as some of their competitors this warranty does show Homelegance willingness to stand behind their products. For certain products the warranty may vary, be sure to check with your dealer before purchasing. So how do Homelegance stand up in this crowded market? What is great about them is their pricing. They’re offering good, stylish units at some of the most competitive prices around and providing good value for the customer. However they are a little disjointed from the customer because they operate through retailers. This can lead to gaps in customer service and occasionally delays or issues. If customer service is extremely important to you in a furniture company, then Levin Furniture has great customer service. Despite this Homelegance take pride in their furniture and to ensure it’s crafted to a high standard. Their variety of products is impressive and perfect if you’re not sure exactly what you’re after. 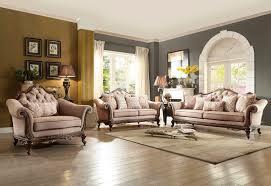 If you’re looking for some good value home furnishings then Homelegance furniture could be the right choice for you. Check out more furniture reviews on our living room product reviews page!